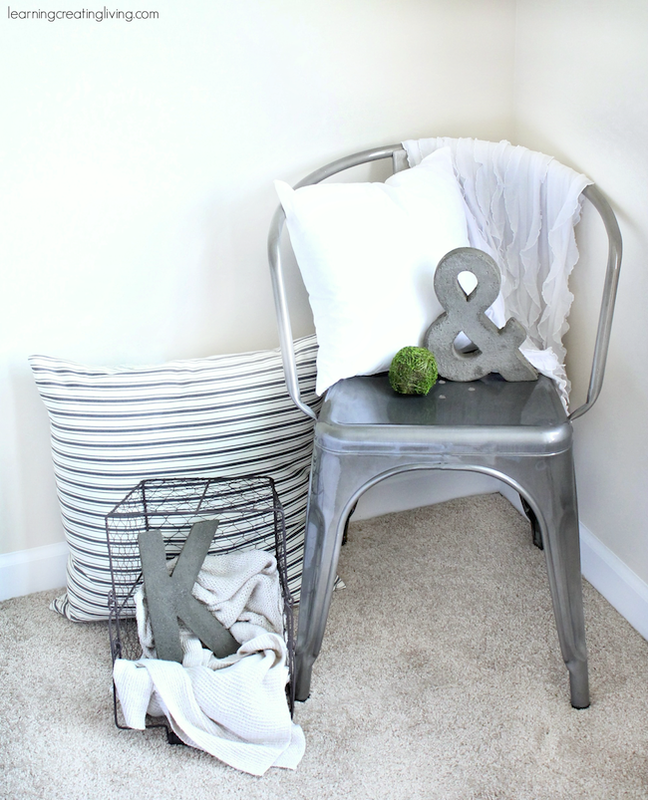 This DIY monogram project takes simple materials to new heights. 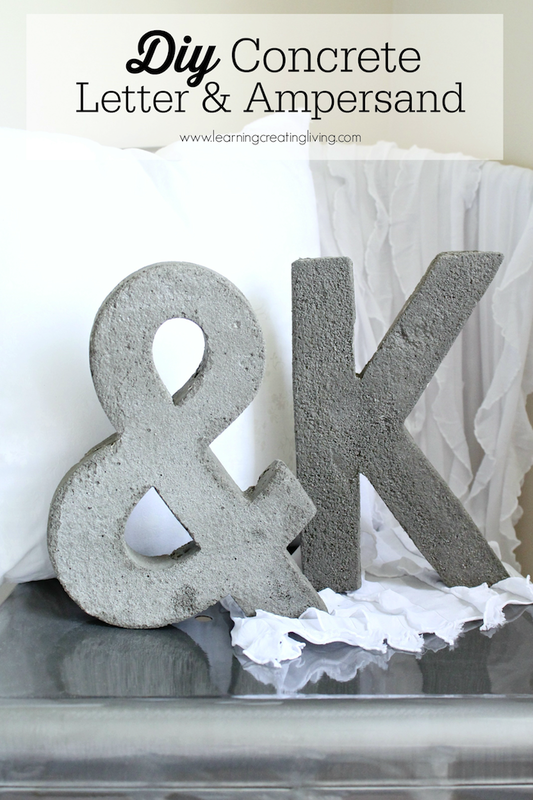 When we came across this DIY concrete letter and ampersand from Katelyn at Learning, Creating, Living, we had to share it. 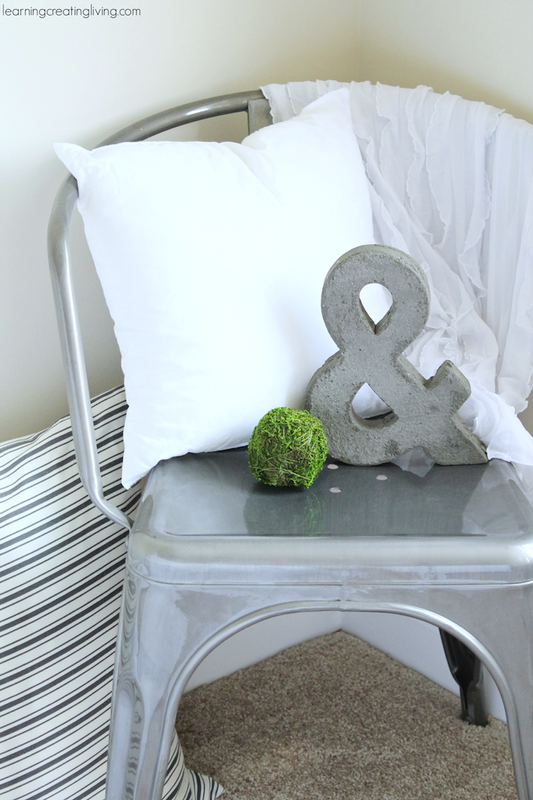 This project is proof that even the most humble of materials can be downright decorative. 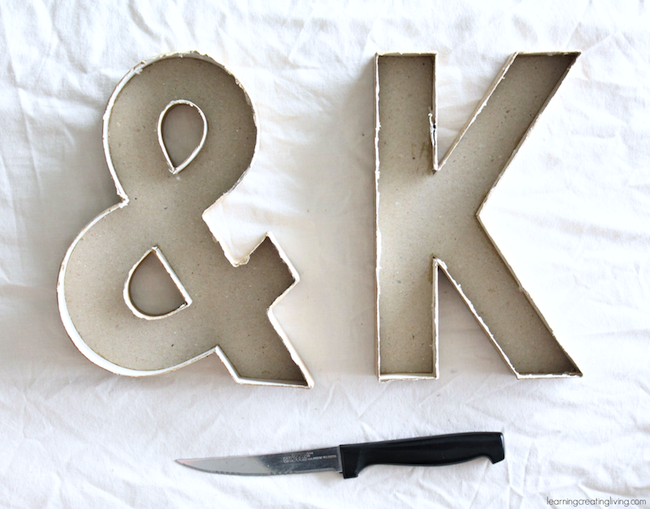 Katelyn used cardboard letters to make her initial, with plans to make her husband’s as well. Take a look at her tutorial. 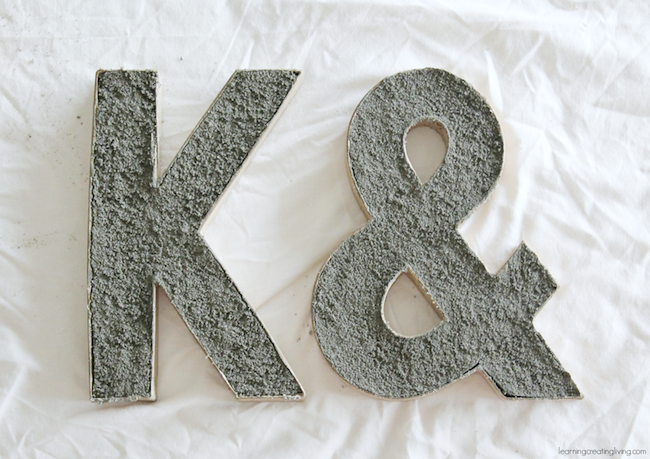 I then mixed the concrete & poured it into the letter & ampersand. I didn’t care that it wasn’t smooth because I planned on sanding it once it dried. I let it dry for a day & then sanded certain areas that needed it. STEP 3Once they were dried, the cardboard was moist, so all I had to do was peel off the cardboard, super easy! That’s it you guys! I find it weird that the texture is so different with both of them considering I used the same concrete & poured it in at the same time, but I love the texture & look of them both. 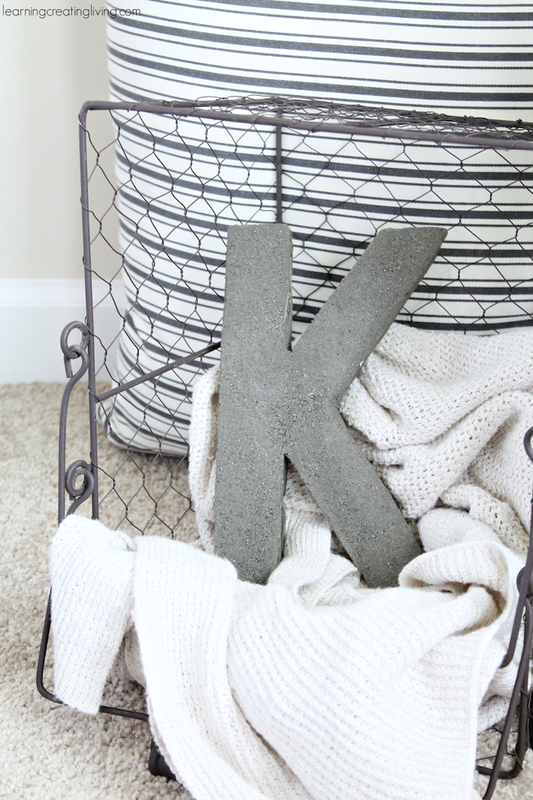 I plan on making my husbands initial and a few other things, but I ran out of concrete this time around since I did a few other things with it.Thanks, to Katelyn from Learning, Creating, Living for sharing! 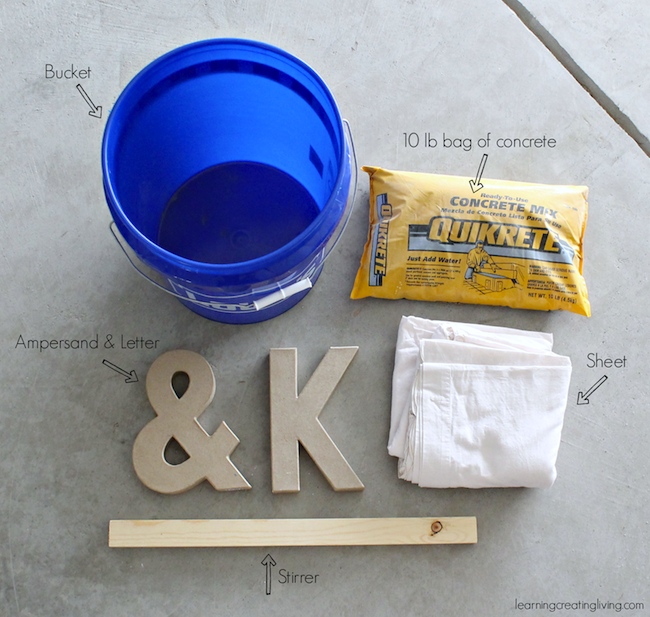 Check out her site for even more concrete projects.